I just got a new grandbaby - one day old Alex - and this is the quilt I made for him. It is a departure from what I always thought of as 'baby' quilts: missing are the animals, embroidery, primary colors... But I think it turned out really nice and, best of all, my daughter-in-law likes it. I used what I had from Moda's Daysail by Bonnie and Camille (see the quilt I made for the Fat Quarter Shop Blog Hop in December by clicking here). If you like Daysail as much as I do, head over to Fat Quarter Shop because they are having a sale on this line. Sweet! Notice the skinny border I chose - the binding uses same fabric (which also happens to be the backing). I really like this border as it frames the project without my adding to the project's final size or detracting from its design. Alex's quilt was pieced and quilted with Aurifil 50 wt white. Simple straight lines were chosen for the quilting in keeping with the overall modern look. I am heading over to California to spend some time with my son and his family. Will snuggle with Alex and his big brother, almost three-year-old Nicholas. Yes, it will be grandma's time in heaven and I can't wait. I am linking to Crazy Mom Quilts and Confessions of a Fabric Addict. Thank you! I will post tutorial soon! I so want Grandchildren. Yeah for the tutorial. When will we know when you post the tutorial? 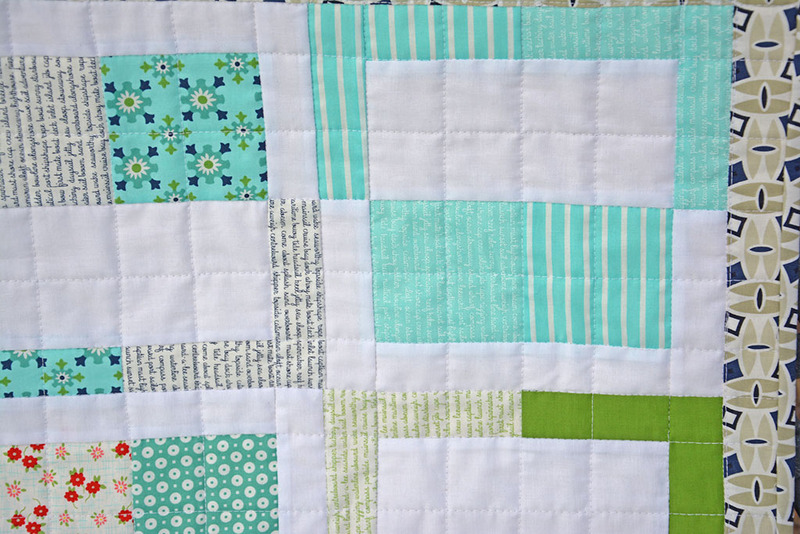 I love the modern feel to this baby quilt. Was this a pattern? It is a great quilt. Thanks! It is my design. Will post tutorial soon! 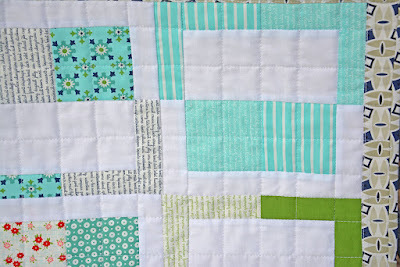 Such a beautiful and airy baby quilt, I love it! Enjoy your visit! Congratulations on the new baby boy, what a beautiful quilt you have made for him! Congratulations on the finish and the new grand baby! Congrats grandma. Enjoy the cuddle time. 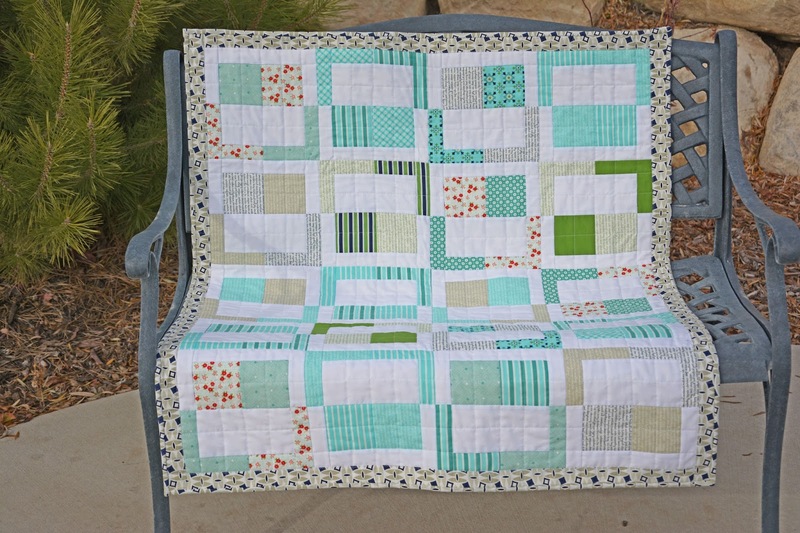 Great looking quilt, looking forward to the tutorial when you get back. Love your daysail quilt! Have a great time with your grandsons! I like this unusual figures. The colors are so calm and attractive. You are so creative.